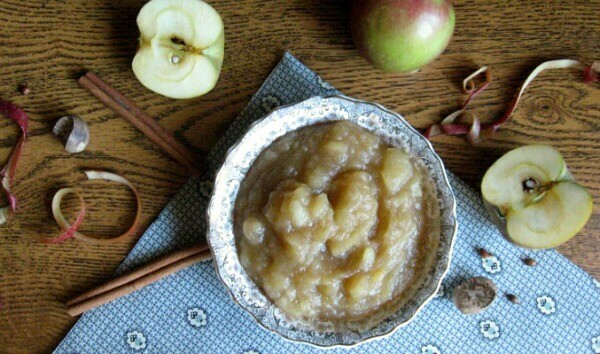 One of my favorite things to make each fall is a big batch of old-fashioned applesauce. 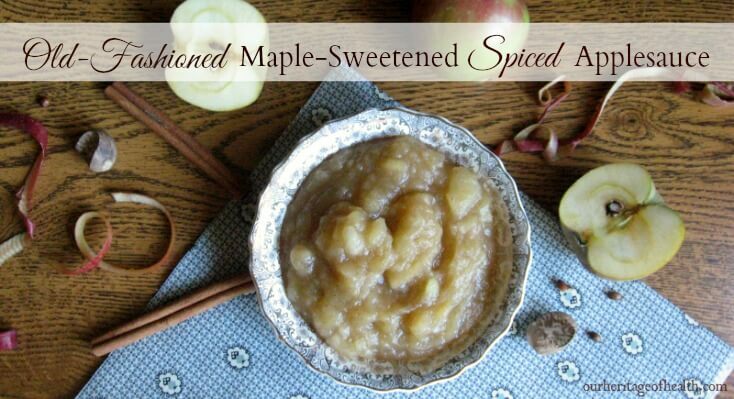 This spiced applesauce recipe is one I love to make because it uses several traditional autumn spices and because it’s sweetened with just enough maple syrup to give a hint of maple flavor. 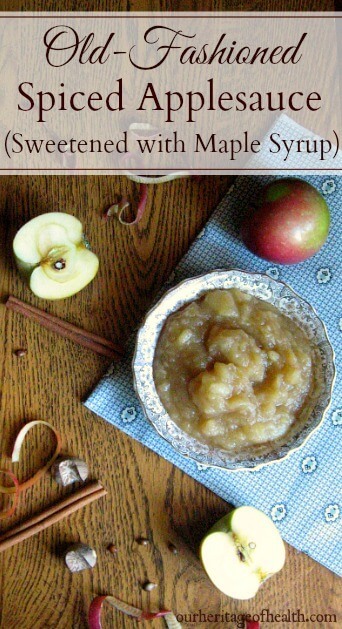 You can use any type of apples for making this applesauce, but in my opinion, it tastes even better when you use fresh-picked apples from an orchard or a local farm stand. There’s nothing quite like the flavor of apples picked right off the tree! I used a couple of different apple varietites when I made this recipe, including traditional favorites like Mackintosh and Cortland as well as a few lesser-known heirloom varieties like Golden Russet, Cox’s Orange Pippin, and Wolf River. This applesauce is a perfect way to enjoy the bounty of the fall apple harvest, and if you make a double or triple batch, you can save some aside in the freezer or can it in Mason jars to enjoy a taste of autumn all year long. Put the chopped apples into a saucepan and add a splash or two of water to the pan to help to keep the apples from sticking while they cook down. Cook the apples on medium heat for about 10 minutes, stirring occasionally and reducing the heat if the apples start to get too hot and splatter outside the pan. Add the maple syrup, pinch of salt, and the spices and stir well to combine. Then, if you like a smooth apple sauce, you can use a potato masher to smooth out the lumps, or if you prefer a more rustic applesauce, you can leave them as they are. Remove from heat, let cool, and enjoy! Recipe makes about 5 1/2 cups, depending on the size of your apples. The information in this post is not to be taken as medical advice and is not intended to diagnose or treat any disease. Just learned of this one, haven’t tried it myself yet but person who gave it out really likes it. Peel, core, slice 1 apple. Fry up 2 slices of bacon (or more), set aside. In the bacon grease, fry your apple slices, while they’re cooking chop the cooked bacon then sprinkle the bacon over the frying apples to warm it up. Season with cinnamon to taste. If you want you can fry a couple eggs at the same time for a full breakfast. That sounds like it would make a pretty good breakfast! 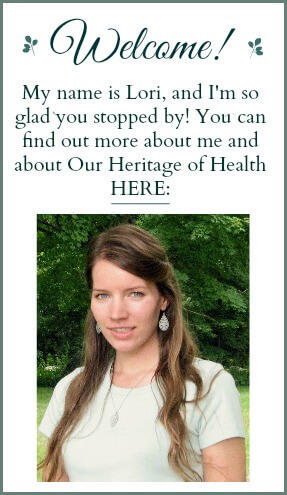 Subscribe for blog updates plus get my FREE 7-Day Healthy Living Makeover and my bonus guide "10 Easy Ways to Improve Your Health Right Now."